Burning pain, tingling, and numbness in the toes are the symptoms of a neuroma. This condition, which is a benign growth of tissue that pinches the nerve, is usually found between the third and fourth toes in your foot. The most common characteristic of this problem is the feeling that something is stuck in your shoe under your middle toes. No visible signs, like a lump, can be seen on the foot, but swelling may appear in that specific area. It also may be tender if you feel around the area of the tissue growth. Pain can occur in the ball of your foot and shoot into your toes. The pain usually gets worse when you have shoes on. Certain types of footwear aggravate the neuroma, like high heels and pointy-toed shoes. Symptoms will also show up when you’re pushing off your toes for activities like running. Neuromas can be treated with some simple therapies like footwear changes. At Foot Doctor of the East Bay, we specialize in custom orthotics and would love to help you end the burning pain in your feet. Call (510) 483-3390 to schedule an appointment. Metatarsalgia is a generic, catch-all term for pain in the ball of your foot—right where the metatarsal heads (the bases of your toes) connect with the foot. Since the word more properly describes a set of symptoms than an actual condition, it can have many underlying causes—foot deformities, ill-fitting footwear, nerve damage, a stone bruise, too much time in high heels, obesity, stress fractures, overuse from high-impact sports, and more can all play a role in producing metatarsalgia symptoms. Most of these conditions funnel extra pressure to the balls of the feet, which causes chronic pain over time. If you’re experiencing pain and swelling in your toes or forefoot, call Foot Doctor of the East Bay at (510) 483-3390. We’ll take the time to listen to your symptoms, carefully evaluate your condition, and get you started on the right method of care for your specific condition. Drop by and say hello in San Leandro, Pleasanton, or Los Gatos, CA. Can I still run with metatarsalgia? Metatarsalgia is a common complaint among runners—the repeated impacts of running can easily cause pain and swelling in the ball of your foot. While you shouldn’t be pounding the pavement if it’s causing chronic pain, there are a few things you can try to reduce your symptoms so you can run with metatarsalgia. While pain is acute, trying running shorter distances on softer surfaces (trails and paths instead of concrete) and cross-train with low-impact exercise. Bad shoes could also be at fault—make sure your footwear fits, is in good repair, and provides essential support. A specialty running store can help you find the right pair or suggest a good insert, or we can design a custom orthotic to compensate for any deformities in your foot structure. If symptoms do not improve after a week or so, call Foot Doctor of the East Bay for a full evaluation. We can help you identify the source of your discomfort so you can nullify the pain and get back on your feet. Our 3 locations are conveniently located to serve the entire Bay Area; dial (510) 483-3390 to set up your appointment today. Should I get bunion surgery? Bunion surgery involves realignment of the bones to restore normal weight bearing on the foot and relieve pain. You should think about surgery if you have severe ongoing pain that limits your daily activity. However, a procedure should only be considered if you’ve tried and exhausted all forms of non-surgical treatment. If you’re an athlete or child, we suggest that you continue with non-surgical treatment. 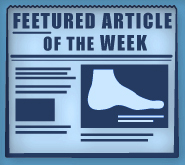 Your big toe joint may be less flexible after surgical treatment. If you’re an active person, this will be a problem. Know that if you wear heels or narrow shoes after surgery, your bunions have a possibility of returning. The procedure might not be worth it if you keep wearing the same shoes that caused the problem. Your best choice is a doctor who performs a lot of bunion surgeries and a variety of procedures on a regular basis. Dr. Michael Stein and Zeindelin Ahmad, DPM, have the experience to recommend the best kind of surgery for the bunion you have. Call Foot Doctor of the East Bay in San Leandro at (510) 483-3390 today to end your bunion pain. How do I relieve of my toe joint pain? Toe pain can be caused by a lot of different culprits—bursitis, neuromas, capsulitis, arthritis—and each one requires some specialized care. However, there are some simple steps you can take that can provide toe joint pain relief from a wide variety of causes. First, avoid shoes that pinch the toes or put excess pressure on the forefoot—no high heels or pointed toe boxes. They should fit properly and comfortably and offer plenty of support. Over-the-counter inserts or custom orthotics can provide additional stability and deflect pressure away from inflamed joints. Simpler, temporary remedies include staying off of your feet and using ice or over-the-counter anti-inflammatories to minimize pain and swelling. If you’re struggling with persistent toe pain, don’t wait. Call Foot Doctor of the East Bay at (510) 483-3390. Our experts will examine your feet, determine the exact cause of your discomfort, and start you on the road to recovery. Visit us in San Leandro, Pleasanton, or Los Gatos, CA. There are lots of reasons you might be losing some of your balance—we all do as we age—but one possible culprit is peripheral neuropathy. In this condition, damage to your peripheral nervous system leads to numbness and loss of sensation in extremities, particularly the legs and feet. It is common among sufferers of diabetes, though can affect anyone. Because the nervous system can no longer record and report accurate signals to your brain about the position of your feet in space, or the amount of pressure being placed on them, this can lead to a widened stance with an unsure gait, or can even cause you to trip or topple due to unsteadiness. If you have any questions or concerns about your balance and neuropathy, give Foot Doctor of the East Bay in CA a call at (510) 483-3390. Visit us in the East Bay in San Leandro or Pleasanton, or stop by our office in Los Gatos in Silicon Valley.